Have you ever asked yourself, "what watch does Donald Trump wear?" Well we can tell you! We've identified six watches in Donald Trump's personal watch collection. With an unforeseeable victory over Senator Hillary Clinton, Donald Trump became the 45th President of the United States, and he was sworn into office on January 20, 2017. Now that he’s had a few months to situate himself in his new job, we’ve decided it’s high time we dedicate an article to our newest President. Now before you jump to the comment section, we won’t be talking about President Trump’s political views or values. We’ll leave those discussions for NPR, CNN, USA Today, etc. Instead, we’ll be sticking with our expertise: watches. 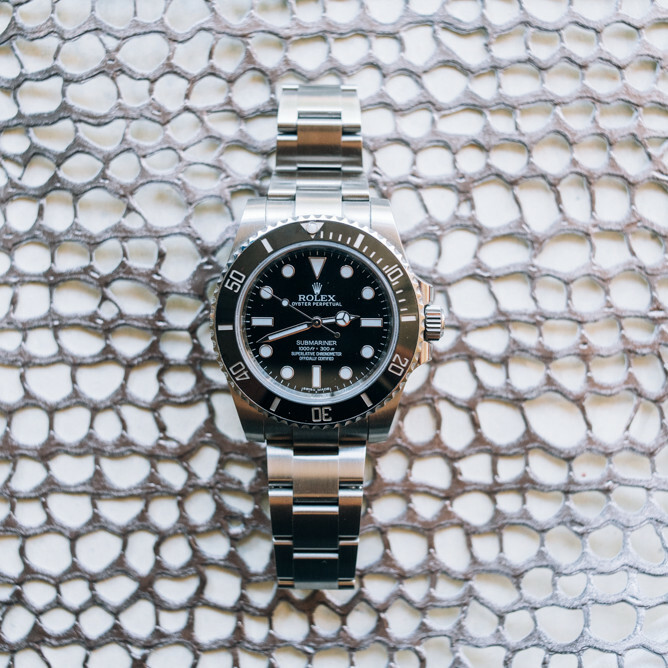 Donald Trump has quite a history when it comes to watches, collecting famous watches at auctions, receiving watches as gifts, and even launching his own line of quartz watches. We’ll identify six watches from Donald Trump’s personal collection. In 2005, Trump launched his own line of quartz watches, the Donald J. Trump Signature Collection. Many watch collectors believe Trump’s watch designs were inspired by (or stolen from) Rolex Daytonas and TAG Heuer Monacos. Unlike the iconic luxury watches, Trump’s Signature Collection used a rather basic quartz movement. Trump produced twenty models in the first year, and they were sold exclusively at Macy’s. Unfortunately for Trump, the venture failed after its first year. Surprisingly, he has yet to be photographed wearing one of his own watches, instead Trump chooses to wear watches from established brands such as Rolex or Patek Philippe. During the election, Trump was seen wearing a Vacheron Constantin Historiques Ultra-Fine 1968 in pink gold. This watch is known for its incredibly thin 5.4mm case as well as its square case shape. This watch is powered by the Caliber 1120 automatic movement. Trump wore this Vacheron Constantin watch on election night in 2016. Trump is also known for regularly wearing his Rolex Day-Date in yellow gold, and he wore this watch well before he began his presidential campaign. It is interesting to note that the bracelet on this watch is called the President. The President bracelet was introduced in 1956, and it was designed specifically for the Rolex Day-Date. The bracelet features three domed-piece links and it’s fitted with a Crownclasp. It is unclear if Trump owns the Day-Date with a white dial or a champagne dial. It is also unknown if Trump’s Rolex is a modern or vintage model. Below, we’ve provided an example of two modern Rolex Day-Dates; the left watch features the champagne dial and the right watch features the white dial. Trump is also believed to own a Patek Philippe Ellipse in yellow gold with a blue dial and integrated bracelet. This dress watch has a rather unique case shape, being neither a perfect circle or square. The final two watches are included in Trump’s collection, but President Trump is very rarely seen wearing the watches. The first watch is a vintage Colibri that Trump won at a charity auction in 1999. The auction, hosted by Antiquorum and Tourneau, featured former President Ronald Reagan’s Colibri. Trump placed the highest bid, spending $7,000 dollars to secure the watch for his collection. The second watch was a gift from Azad for Trump’s work on the popular reality show, The Apprentice. The gifted watch was the limited edition Azad Power Tourbillon in stainless steel, and it retails for $9,950. Trump received this watch in 2009. Whatever your opinion of Donald J. Trump, you have to admit that he’s amassed quite a collection of watches. We’ll keep watching throughout the next 3+ years to see if President Trump adopts a new favorite watch. This is what hers wearing now.